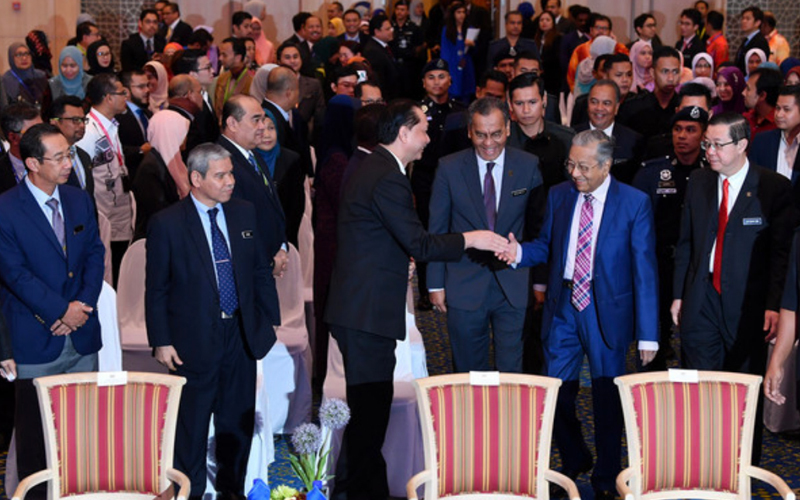 PUTRAJAYA: Prime Minister Dr Mahathir Mohamad today said he was not aware of any decision to cancel the East Coast Rail Link (ECRL) contract with China Communications Construction Company (CCCC), as recently reported by a Singapore daily. “I don’t know if it has been cancelled,” he said, adding that this was one way to address the problem. “However, if we do so, we will need to pay billions in compensation,” he told reporters after an event at the finance ministry here. He added that the issue would be discussed. The Straits Times (ST), quoting sources, said Putrajaya was now seeking a new contractor to build the ECRL, but at half the original estimated cost of RM81 billion for the project. 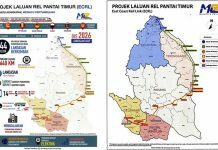 Work on the 688km railway line linking the east and west coasts of Peninsular Malaysia was suspended last July as part of the review by the Pakatan Harapan administration of mega projects undertaken by the previous government. The ST report said since then, negotiations to reduce the project cost – pegged at RM55 million when the plans were launched in November 2016 – had continued with CCCC. Government adviser Daim Zainuddin was leading the talks. Daim, later, reportedly said that negotiations were still on. The ECRL – meant to be a land bridge linking Kuantan Port with Port Klang that would allow shipped cargo to bypass Singapore – was touted as a game-changer when the project was launched. However, construction sites along the 12-passenger station route have been left abandoned since the stop-work order was issued in July, the ST reported. CCCC was originally awarded the engineering, procurement, construction and commissioning contract for the ECRL, which was to be funded by Malaysia taking a soft loan from Export and Import Bank of China to cover 85% of the cost. The remaining sum was to be raised from local bond issues. Two pipeline projects with China costing RM9.3 billion were earlier cancelled as well after the government found that only 13% of the work had been completed despite the payment of almost 90% of the project cost.